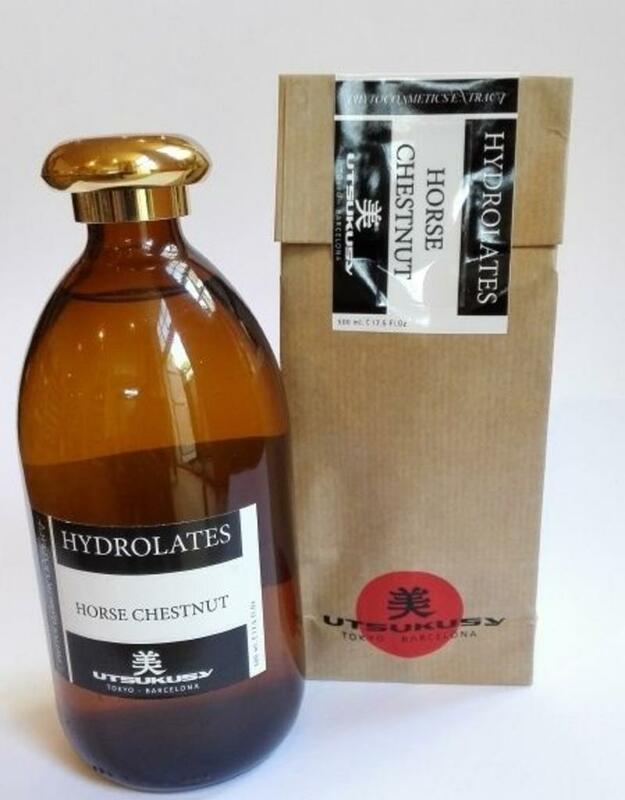 The hydrolate of the white horse chestnut improves circulation and thus improves the blood circulation of the skin. A beautiful hyrodlate to relieve heavy, tired and strained lower legs. 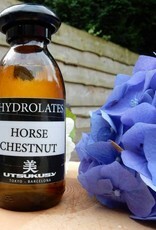 Dab some horse chestnut hydrolate on the legs or spray on a warm compress. 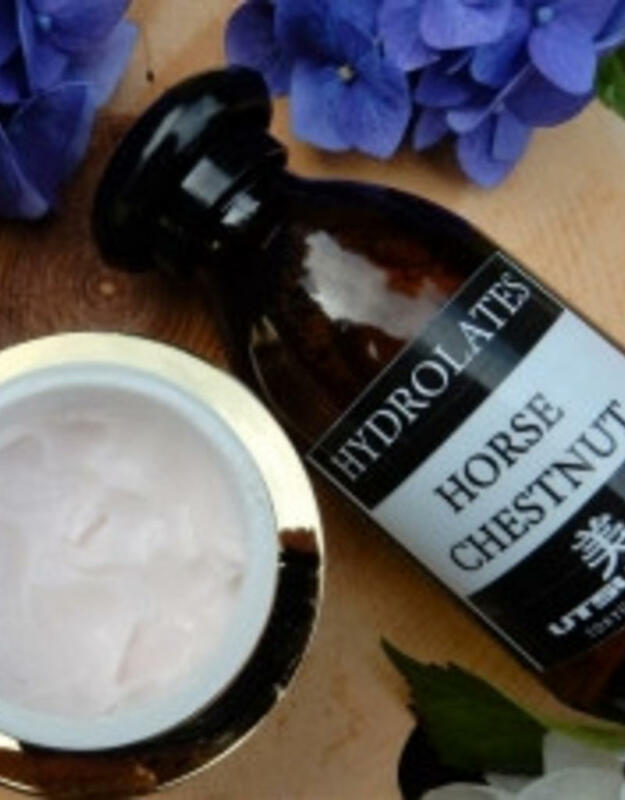 As a tonic or mixed with a face cream, horse chestnut hydrolate will heal thin skin with poorly healing wounds, firm skin with rosacea and display a beautiful sheen. A skin with pigmentation spots and flecks react pretty amazing on horse chestnut hydrolate. 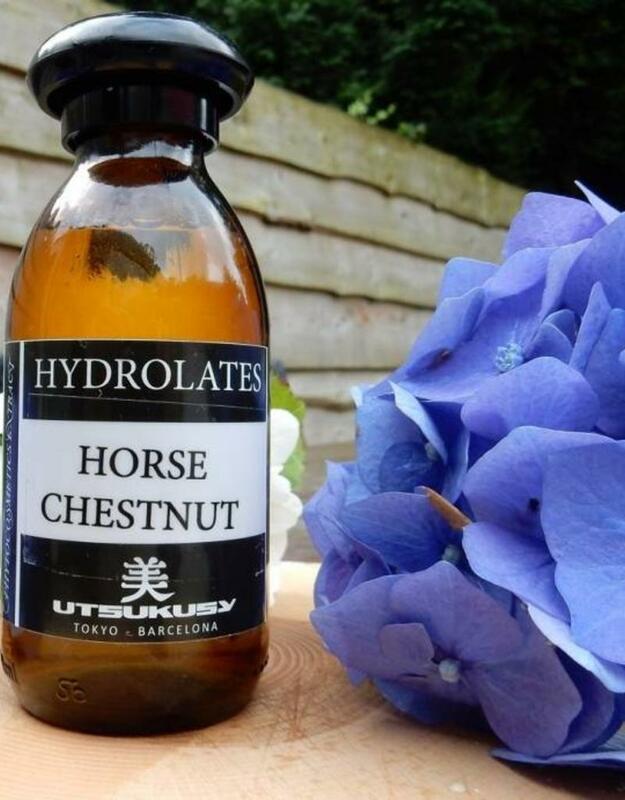 Horse chestnut hydrolate improves circulation in winter hands or feet and it will lighten and soothe incipient varicose veins. 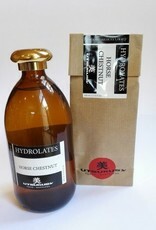 Horse chestnut hydrolate is the perfect aftershave for men. It has a nice, sturdy odor, prevents clogging of pores and disinfects. The result; healthy, smooth, matte skin. Massaged on the scalp or as rinsing water after the shower will give limp hair the necessary reinforcement. 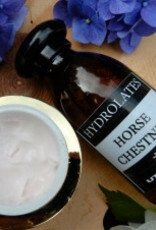 Furthermore, your mind is refreshed and enlivened by the fresh scent of horse chestnut. You and your hair will be full of life and new (horse) power.